When you contact Fellman Studio you’ll talk to Lynn Fellman, an artist, designer, and writer. Fellman communicates the beauty and value of genomic science through art and story, animations and books, prints and portraits. Fellman produced an animation at Ben-Gurion University of the Negev, Israel, about the work of evolutionary geneticist, Dr. Dan Mishmar for her Fulbright award. Watch the 3-minute video. 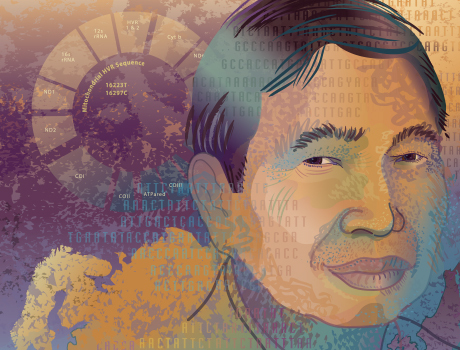 Commissioned by the University of Minnesota, the portraits combine an individual’s DNA data, with their image, and their haplogroup migration paths from prehistoric to current time. 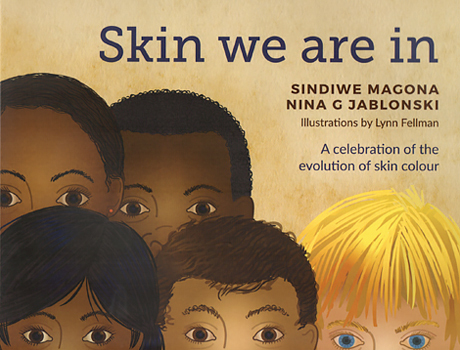 Art and science tell the amazing story of the evolution of human skin color. Designed for middle school students, the book is available in the official languages of South Africa including Swahili. 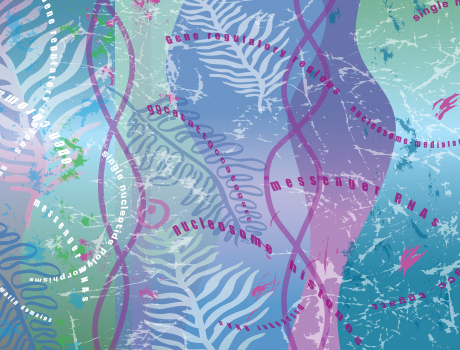 Fellman designed a series of painterly patterns inspired by the iconic beauty of the double helix. The images are printed on archival papers with pigment inks in a range of colors and sizes.